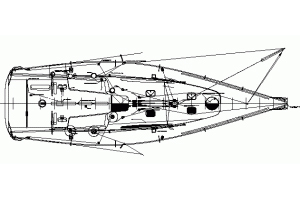 The Gallant 53 was designed by the celebrated naval architect and yacht designer, E.G. 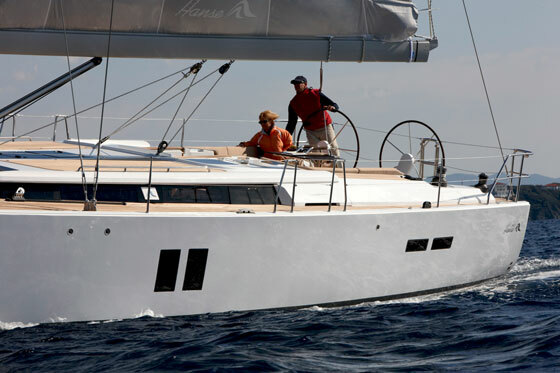 Van de Stadt; the culmination of his pioneering work and vast experience in the development of offshore glass fibre yachts for which he became internationally renowned. To many eyes this Van de Stadt design is still one of the most attractive ever conceived with beautiful lines and superb proportions. In 1967 the Gallant 53 was awarded the Lloyd's Register of Shipping 1968 Yacht Trophy for outstanding design, performance and craftsmanship – then universally recognised as the highest distinction any designer and yard may hope to achieve. 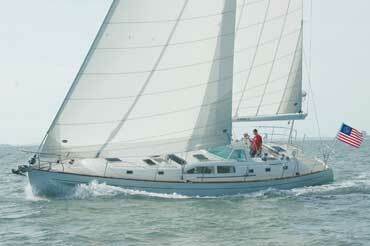 She was the longest GRP production yacht in her day, but still considered a “Gentleman's yacht”. They soon gained a reputation for their good looks, bulletproof construction, superb motion in a seaway and as has been proved, the ease with which they can be handled with a minimum crew. 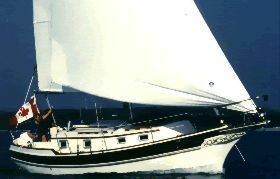 Twenty two were built as ketches or cutter-rigged sloops by Southern Ocean Shipyard Ltd and by Tylers in England from 1967 to 1973.It was (Dame) Naomi James however, who set off from Dartmouth on 9 September 1977 to sail round the world on the Gallant 53 “EXPRESS CRUSADER”. During the voyage, she nearly lost her mast, capsized and had no radio for several weeks. Completing the voyage on 8 June 1978 after 272 days, she beat Sir Francis Chichester's then solo round-the-world sailing record by two days, the first woman to sail single-handed around the world via Cape Horn. 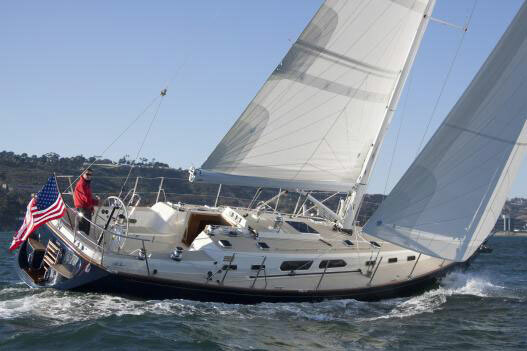 Nogoli is possibly the best maintained yacht of this prestigious small series . She has had only 2 owners since her launch . - Alloy hatches Goyot / Lewmar. - 6X Alloy mooring cleats. - Polished stainless steel stanchions, side gates, pulpit and pushpit. - Steel wire standing rigging. - Hydraulic transmission “VELVET DRIVE”, AQUAMED stainless steel shaft. - n° 2 x Fresh water pumps. - n° 1 x Grey water pump. - n° 2 x electrical self priming bilge pumps. - Quick 80 Ah 24 Volts Battery charger. - Stainless steel waterproof shore power plug 220 V.
- Safety standard equipment. Liferaft for 12 person. - White hull, heavy duty construction G.R.P. 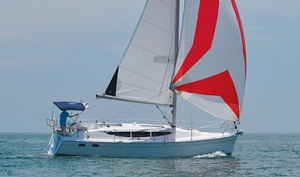 - OWNER'S CABIN situated athwartships, this cabin has one normal lower and one large upper berths with shelved lockers. Large mirror fronted cabinet with cloth-hangers and lockers, fan ventilation, en suite bathroom with shower. - NAV. AREAChart table opposite to starboard. Lifting top and drawers under, With full instrumentation (list follows). Well planned with full size chart table, lockers, 12V, 24V and 220V control panels.